The 3 hour bus ride to El Porvenir is relatively cheap at 140 lempiras or $7.14, but the trip there and back is more time and expense than Ramona Morales can afford. And yet, Doña Moncha, as her family and friends call her, averages two visits a month to see her son, Jóse Isabel “Chavelo” Morales. He is the second of her thirteen children and is currently jailed in Penitenciaria El Porvenir just outside of Honduras’ third largest city, La Ceiba. The bus ride from the community of Guadalupe Carney, where the Morales family lives, to the prison and back takes 6 hours, but the ride that the Honduran “justice” system has taken Chavelo on has lasted for over four years, and now he faces twenty more. The latest bump in this road was created by the Court of Appeals who did not bother to inform Chavelo nor his attorneys of the sentencing hearing. In August of this year, his lawyers received a phone call notifying them of the 20-year sentence. This came after close to 2 years of waiting for a verdict, and then over 2 more years of repeatedly having sentencing hearings scheduled then abruptly cancelled. They were moved from San Pedro Sula – close to where the defense lawyers work – to La Ceiba, which is about 4 hours away, and then to Trujillo, which is six hours away. In January of 2011 the defense lawyers filed a writ of Habeas Corpus. They declared Chavelo’s imprisonment illegal because it violated Article 188 of the Honduran Criminal Procedure Code. This states that a person cannot be held for more than two years without sentencing. The court denied the request. The lawyers could not appeal without a sentence. Now that they have one, they are asking for it to be nullified due to the violation of the penal code plus the fact that there isn’t any evidence in the sentencing statement that justifies a conviction. The Supreme Court of Justice of Honduras has up to one year to take up the appeal or to let the sentencing stand. The Honduran courts and the mainstream press are both controlled by the country’s ruling elites. They are satisfied with having the public believe that this is a simple criminal case. However, by unraveling the history of the conflict that led to Chavelo’s imprisonment, light can be shed on the land conflicts and class warfare instigated and perpetuated by the ruling elites throughout this country’s history. Like much of Honduras, the area around the municipality of Trujillo on the Caribbean coast has the thumbprints of the US government’s dirty interventions all over it. In the 1980s, the area east and south of Trujillo, just over the hill and encompassing Laguna Guaimorato, was known by the Spanish acronym CREM (Regional Military Training Center). It was the US military’s staging ground for Ronald Reagan’s “Contras” who, funded with drug money as well as money from arms sold to Iran, were trained to overthrow the popular revolutionary government of Nicaragua. Also, Salvadoran and Honduran military death squads were trained there by graduates of Fort Benning’s School of the Americas (now known as WHINSEC), prolonging El Salvador’s bloody civil war as well as disappearing and assassinating Hondurans in order to stomp out popular movements. Included in these disappearances was Father Guadalupe Carney, S.J., for whom the Morales family’s community was named. He was a Jesuit priest from the US who practiced liberation theology in Honduras. He assisted campesinos (peasant farmers) in organizing and maintaining farming cooperatives at a time when the repressive military government was trying to crush the emergence of a rural insurgency. He was labeled a communist by the ruling elite and indeed did become increasingly radicalized by his experiences of seeing how the ruing class exploited the poor. He received death threats from the military controlled government and eventually had to seek exile in Nicaragua. Padre Lupe, as the campesinos called him, was disappeared by the Honduran military with assistance from the US in 1983 when he reentered Honduras with guerilla insurgents. His family is still trying to get CIA files released to find out how he actually died since his body was never recovered. By 1991, after the Iran/Contra scandal forced the US Congress to heavily curtail military spending to Central America, and the Papa Bush administration was turning its attention to expanding war in the Middle East, the CREM was basically abandoned. Only a few Honduran soldiers remained. It was suspected that they were left there to protect narco-traffickers. Several campesinos reported to me that they had frequently seen small aircraft land, either in the Laguna where they were met by small boats or on landing strips hidden in the forests where trucks loaded or unloaded packages. In 1993, the Honduran Congress passed legislation requiring the Attorney General’s office to officially transfer these lands to INA (the National Agrarian Institute) explicitly for allocation to landless peasants. Despite this, the local municipality of Trujillo illegally sold titles to local elites who used the land for cattle grazing as well as, presumably, the aforementioned clandestine airstrips since they existed on land they claimed title to. 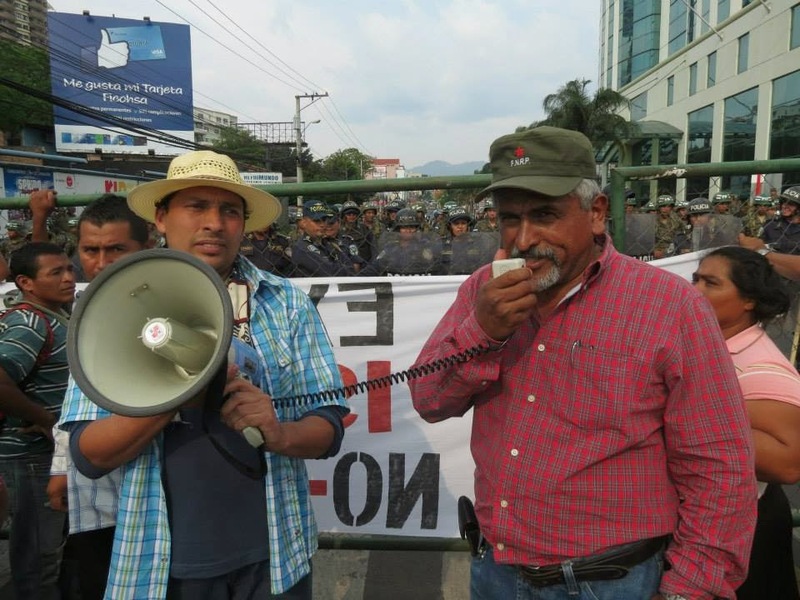 One of these ranchers, and the fiercest aggressor against the campesinos, is Henry Osorto, an ex-military officer who had been stationed at the CREM during the Iran/Contra days and, at the time, a sub-commissioner of the National Police in the neighboring department of Gracias a Díos. It is rumored that he was a main player in the disappearance of Padre Lupe. Based on the accounts of the campesinos, and the heavy stash of arms found in his house, Henry shared with his family an apparent love for automatic weapons and grenades. During the 1990s, after many decades of proposed, failed, and sabotaged agrarian reform laws, the campesinos continued to look for land that they could call their own. In 1998, in the wake of Hurricane Mitch the pressure to reclaim land increased as they were forced out of marginal areas in vulnerable flood zones. On the 13th of April 1999, members of the CNTC (the National Confederation of Farmworkers), ANACH (the National Association of Honduran Campesinos), ACAN (the National Campesino Association), and AHMUC (the Honduran Association of Campesina Women) formed the MCA (the Campesino Movement of the Aguán) specifically to recuperate former CREM land. In June of 1999, the MCA approached INA and convinced them that an inspection of the area would prove that this land fell under the provisions of the agrarian reform laws. INA determined that it did indeed meet the requirements and advocated that it be turned over to the campesinos. A year passed as the paperwork was stalled by government corruption. The Honduran government, which is directed and dominated by the ruling elite, would like for everybody to believe that campesinos just want everything handed to them. The mainstream press propagates this thinking by promoting the idea that they want to steal the land and then sell it. The campesinos have proven both claims false. From the beginning they have sought legal avenues to obtain the land, and during the governmental delays they used the time to even better organize. Regulations defining who could participate as well as business plans for how the empresas campesinas, or peasant farmer’s cooperatives, were to operate were written up and agreed upon by all the members of the MCA. Finally, 40 empresas comprised of anywhere from 10 to 35 families coming from 4 provinces of Honduraswere set up, each receiving legal recognition from INA. By May of 2000 it became increasingly clear that the ruling elite was blocking all legal avenues. The MCA decided that if their dreams were ever to be realized they would need to take matters into their own hands. 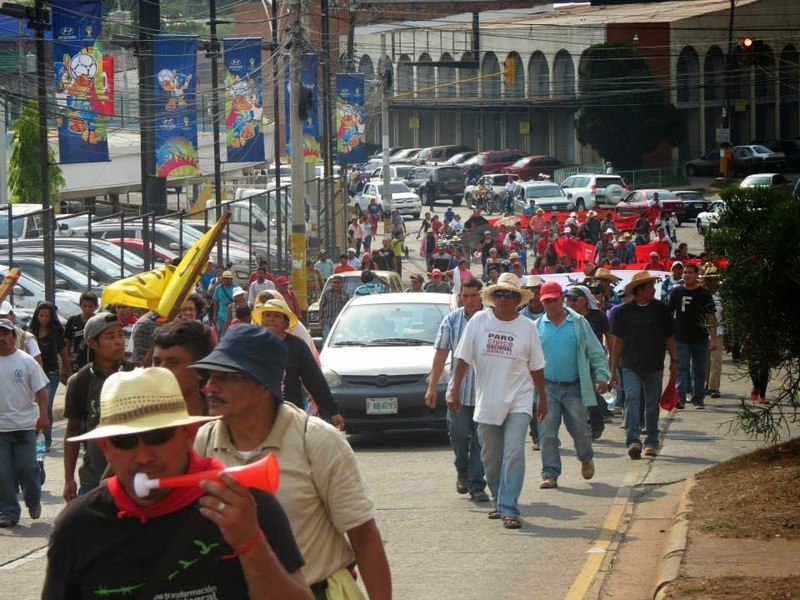 At the stroke of midnight on May 14th, after making their plans known to officials of the government, approximately 700 campesinos with their worldly possessions in tow pulled up to the barbed wire fences surrounding the CREM. They proceeded to tear down the barrier that separated them from the land that would provide them with a sustainable future. Although INA backed them and the campesinos tried all legal avenues, the ranchers continued to use intimidation and bribes to government officials to stay on the land. The most vicious attacks came from the Osorto family’s Rancho Henry where rounds of ammunition from AK47s were often fired in the direction of the campesinos as they worked their new fields. It should be pointed out that Henry Osorto claimed to own 4 hectares (approx. 10 acres) of land, but only had “legal” title to 1 manzana (approx. 2 acres). Also, his brother, Pedro, claimed land for which he had no title. In addition, Henry’s father, Vicente, claimed 80 hectares as his own (approx. 198 acres). All of this land is within the confines of what used to be the CREM and were sold by the municipality of Trujillo which had no right to sell it. In July 2000, during an eviction of campesinos, another brother of Henry’s, Diogenes, was killed in a gunfight that he had instigated. In a common occurrence in Honduras, a local District Attorney from Trujillo had an invalid eviction notice written up at the insistence of (and with possible bribes from) the Osortos, and called the police and military in to evict the campesinos. Diogenes took it upon himself to terrorize the farmers who were in the midst of trying to negotiate the eviction with the District Attorney. He grabbed an AK47 and went after some campesinos who were able to defend themselves and kill him. They later led the police to his body. He was still gripping the AK47. The tensions surrounding this attempted eviction and the fact that it was a rich landlord who died and not a campesino led to the formation of a government commission, which sought to mediate the conflict. Nevertheless, the tense relationship between the campesinos and the ranchers continued. In the ensuing years, the MCA grew stronger and more organized and was seeking to legally obtain more land for the pressing needs of the campesinos. In May 2008 parts of Osorto’s land were legally acquired by theempresas Luchemos Juntos and Santa Maria Los Angeles, to which Chavelo’s family belongs. The violence was about to reignite. The Osortos had been hiring guards who basically acted as paramilitaries, illegally evicting campesinos by force and firing indiscriminately into houses. Henry Osorto was seen carrying grenades and would threaten to throw them at the campesinos. 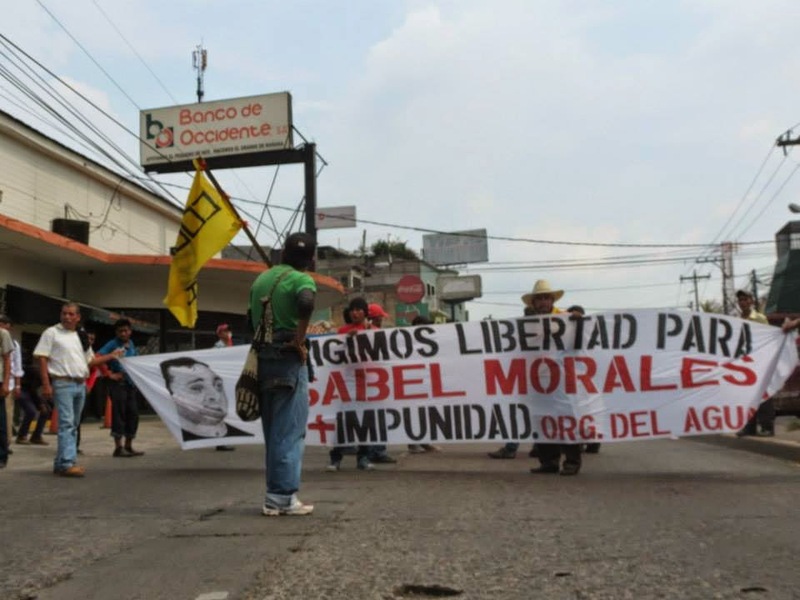 On June 5th, three properties were brutally evicted by Osorto’s paramilitary guards. 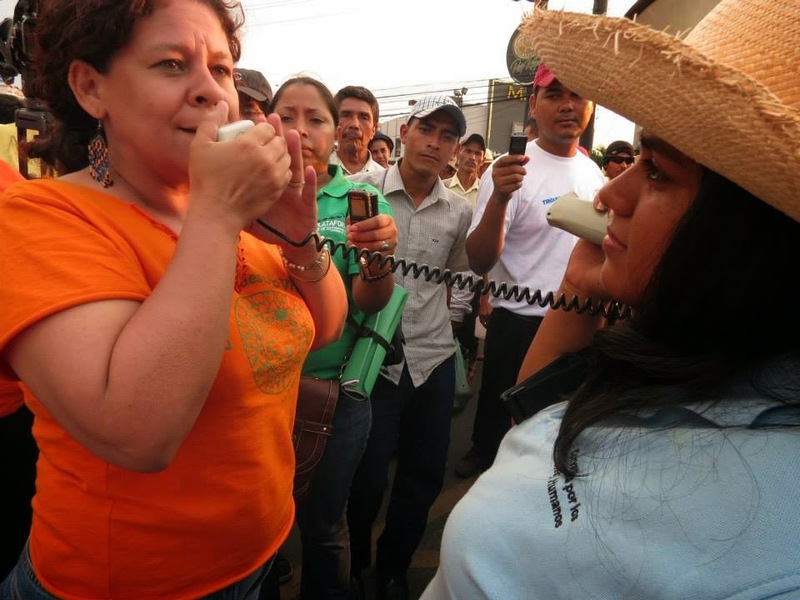 On the 11th, campesino leader Don Irene Ramirez, who had been receiving death threats for months, was assassinated. The day before his murder Ramirez had been on Radio Católica in Trujillo stating the need to implement Decree 18-2008, a law that had been enacted by the National Congress on April 29, 2008 under the Zalaya administration. Under this law the government had a legal basis to confiscate lands under certain conditions. They could then reallocate it to peasant farmers who had been living there and/or those who farmed the land for subsistence. After the 2009 coup, the Micheletti regime stalled the land redistribution process. In 2011, the Supreme Court of Honduras, under the illegitimate government of President Lobo, repealed it altogether. On Sunday August 3rd 2008 at 5 am, Osorto’s paramilitary guards crept up on Santa Maria Los Angeles’ newly acquired land. They fired into the houses forcing the campesinos into the woods, but a 13-year-old girl hid under her bed. The guards found her and began to throw her around, slapping, kicking, and fondling her all the while demanding that she name the leaders of the community. After more than thirty minutes of this they left. 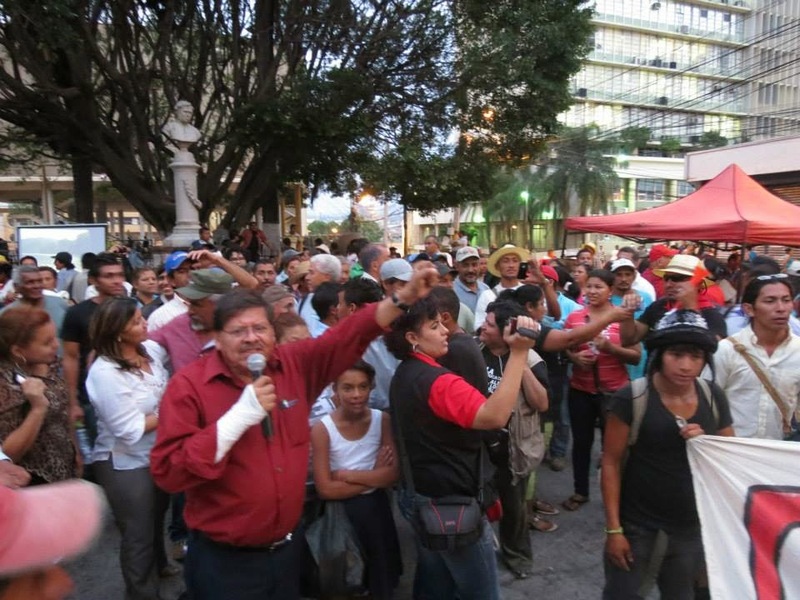 If Henry Osorto’s intention was to intimidate the campesinos, it didn’t work. As news of this newest assault spread, the community gathered in mass to confront the Osortos. Five of the guards involved in the attack took refuge in the main house at Rancho Henry. The first group of campesinos arrived at around 7am. Eventually the crowd of campesinos at Rancho Henry grew to be nearly 300 people. Several of them attempted to get the police involved, both from the station in Trujillo and from the officers at the scene, who remained about 100 yards down the road just watching. Inside the main house, there were ten people including Vicente, Pedro, other members of the Osorto family, and the five guards. Shots were fired from the house and a standoff ensued which lasted for several hours. At 8:30am, Chavelo began his daily routine of traveling on bicycle to the different communities between Guadalupe Carney and Trujillo. Attached to his bike was a cooler filled with ice and the ice cream that he sold. This is what he did to support his wife, 2 children and a stepchild. Because of the land conflicts the campesinos weren’t always able to work the fields so they found other types of work to support their families. It would usually take Chavelo about 7 hours to sell his ice cream. At around 3pm, more shots came from the Osorto house, this time striking Jóse Arnulfo Guevara who was walking on the main road, down a hill about 80 yards from the house. At around 4:00pm, Chavelo had retuned home and was playing futbol with two friends when he heard Arnulfo’s wife screaming with grief. She told him what happened. Believing that Arnulfo was only injured, Chavelo jumped on his bike to go help his friend. 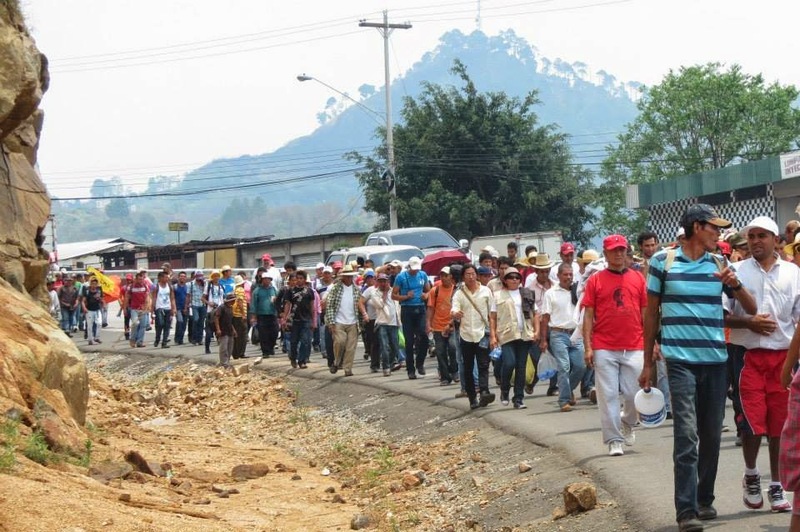 About a hundred more campesinos stopped what they were doing and made their way to Rancho Henry. By the time Chavelo got there, at about 4:30pm, Arnulfo’s body had already been moved to a small house on the Osorto property, about 150 yards behind the main house. The Osortos had been waging a war against the peasant farmers for years. 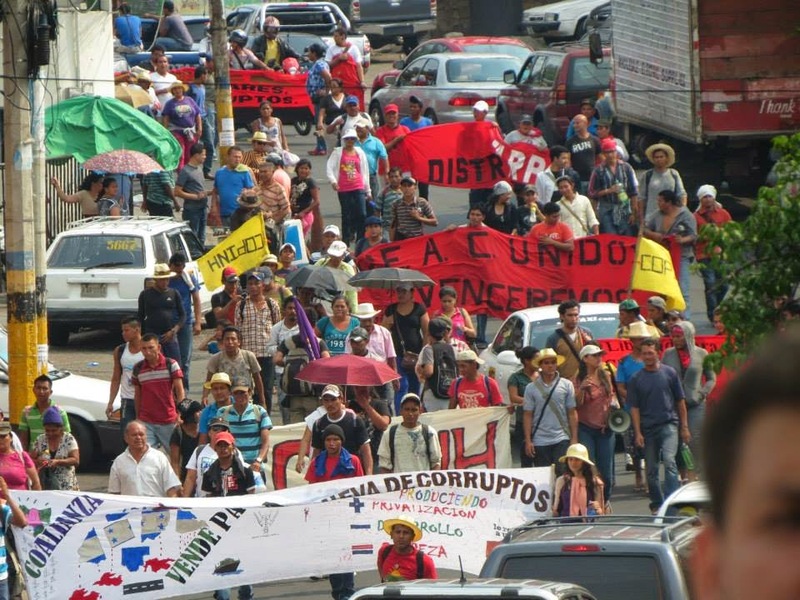 Human rights organizations, along with the campesinos, had been calling on the government to intervene from the beginning. Every step of the way they had gone through legal channels to acquire the land and to call for an end to the violence perpetrated by the Osortos, but they were met with stonewalling from the government or out right aggression from those who supported the rich landlords. Before Arnulfo was killed, the campesinos were demanding two things: that the police intervene, and that the guards who shot up the community and attacked the girl surrender to the police. Leaders of the MCA along with members of the CNTC as far away as Tegucigalpa were on the phone for a better part of the day with government officials from different departments trying to get some kind of law enforcement intervention all to no avail. In the absence of law enforcement, what recourse do people have? When laws are suspended or are one sided, benefiting only one class, how long do people watch as their dreams are stolen? As Langston Hughes said, “What happens to a dream deferred? Maybe it just sags like a heavy load. Or does it explode?” A dozen or so campesinos moved on the house. 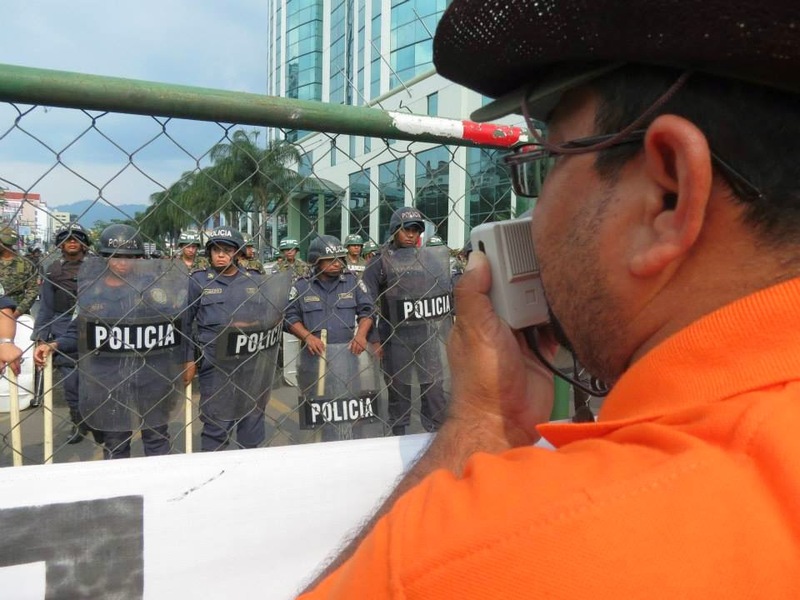 None of the Honduran press was there, save for one journalist from Radio Católica, but the papers described the campesinos as being heavily armed with high caliber weapons. At most, along with the machetes that they used in the fields, the campesinos had a half dozen .22 rifles and a few small handguns used for protection. Only a few of the news articles even bothered to mention the arsenal inside of Osorto’s house, which was stockpiled with rifles, shotguns, AK47s, ammunition, and grenades. At this point, sometime after 4pm, Osorto’s paramilitary guards, with their AK47s, were outside and encircling the house. The Osortos were inside firing as well. Several dozen campesinos with rifles and pistols and machetes stationed themselves around the house and slowly closed the circle picking off one guard after another. The tension and madness of the situation grew more unbearable and when a guard or one of the Osortos was shot and disarmed they would attempt to attack bare handed and would be quickly hacked with a machete. All the guards were now dead, but there was still shooting coming from the house. The campesinos entered it. At one point, a nephew of Henry Osorto went down just outside the front door with a bullet through his shoulder, and began crying. Someone dragged him off the porch and brought him down to the street. One of Chavelo’s younger brothers helped move him and handed him over to the police. In a bitter irony, the nephew survived only to later testify against Chavelo. At about 4:30, there was an explosion inside the house, which shook the ground. Flames quickly engulfed the structure. No one knows exactly how the fire started. There was never a competent forensic investigation done by the DGIC, the Honduran version of the FBI. Henry Osorto’s connection with the National Police influenced both the press coverage and the investigation to the point that Arnulfo’s murder was blamed on the campesinos. As a side note, a few months later the DGIC, notorious for corruption, changed its name to the DNIC as a way of making it look like there was some kind of reform within the department. Further, in Sept 2012 the vice president of the National Congress, Marvin Ponce, called for its complete closure due to its failure to competently solve major crimes and its contributions to the culture of impunity. No campesino that I talked to would state with certainty how the fire started. They speculate that the Osortos firing AK47s inside the house sparked something. Those who side with the Osortos say that the campesinos threw Molotov cocktails into the house. A wilder version, one that Henry Osorto gave to the press the day after the incident, has the campesinos sneaking up on the house, all 300+ of them, and all carrying AK47s. They supposedly ambushed the Osortos and the guards who were just sitting down to a quiet Sunday lunch. They then set the house on fire to cover their tracks, all 300+ tracks. And all this while several dozen police sat in the road watching. The police eventually entered Rancho Henry after the flames died out. No arrests were made. In fact, several of the campesinos helped the police remove the bodies from the rubble. The journalist from Radio Católica took photos at the scene. A photo was taken of Chavelo walking with four other friends who were carrying Arnulfo’s body to a car to take back to a grief stricken wife. This placed him at the scene and was used as the only evidence in his arrest two and a half months later. On the day of his arrest, La Prensa, a Honduran mainstream newspaper owned by oligarchs, labeled Chavelo in a headline as being a “ringleader of the group that committed the massacre” even though in the body of the article it says that police officials had yet to determine his level of involvement. About a year before the incident, Chavelo and five other members of Guadalupe Carney had been accused by Pedro Osorto of stealing one of his trucks full of African palm fruit. The truck didn’t even belong to Osorto nor did the palm. The truck belonged to the campesinocollective Luchemos Juntos. Another collective, Nueva Generación, had harvested the palm from land usurped by Pedro Osorto. National Police sided with Osorto, presumably after accepting a bribe, and arrested the 6 men, held them overnight, and then released them. They were then obligated to go into the courthouse every Friday, conceivably for the rest of their lives, to sign in a registry. The stated reason was to ensure that they didn’t leave the country while the police investigated the matter, but the real reason was to intimidate and harass them. This is standard practice in the criminalization of the campesinos. Sometimes they are forced to travel many miles to sign a registry. If they don’t, there is a warrant issued for their arrest. 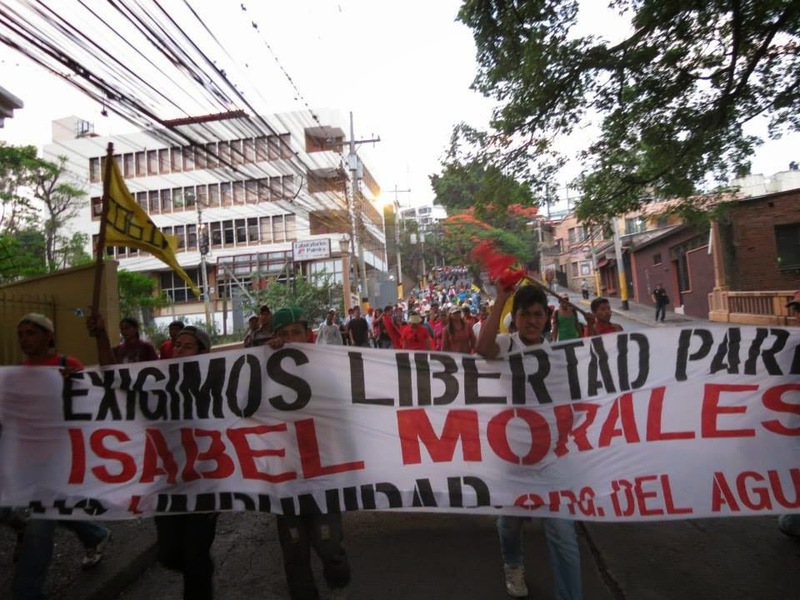 Currently there are over 2000 campesinos in Honduras with arrest warrants for not signing a registry. The motive for the Osortos in accusing the campesinos was to try to get some kind of legal action against them, presumably in order to criminalize them and eventually end their land recuperations. Another rich landowner, Reynaldo Canales, was also behind the framing of the six. He, as well as Miguel Facussé Barjum and Rene Morales, all members of the 12 oligarchic families that rule over Honduras, have been engaged in illegal land grabs and bribing officials to write up phony eviction orders. 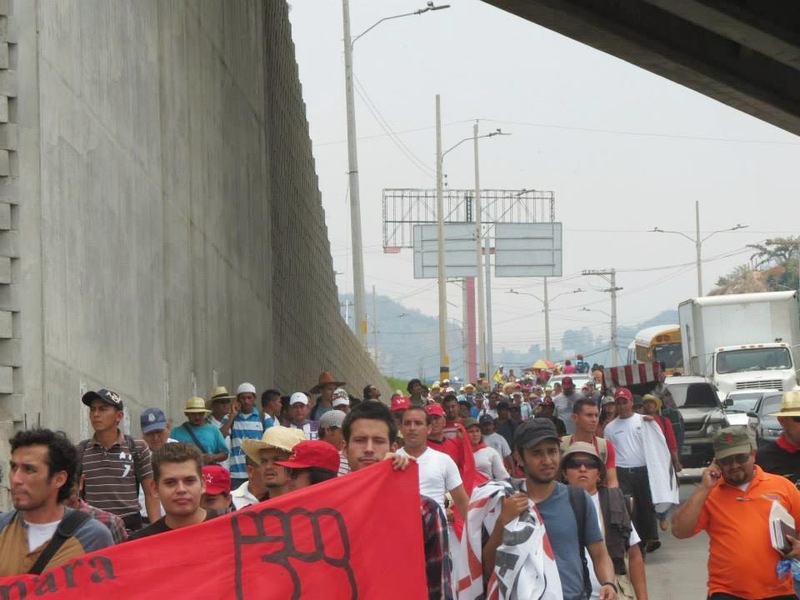 They all have also hired paramilitaries to harass, and indeed, assassinate campesinos. For a year prior to the incident at Rancho Henry, Chavelo and the others went every week to Trujillo to sign-in. After the fire and during its investigation, they continued to go. 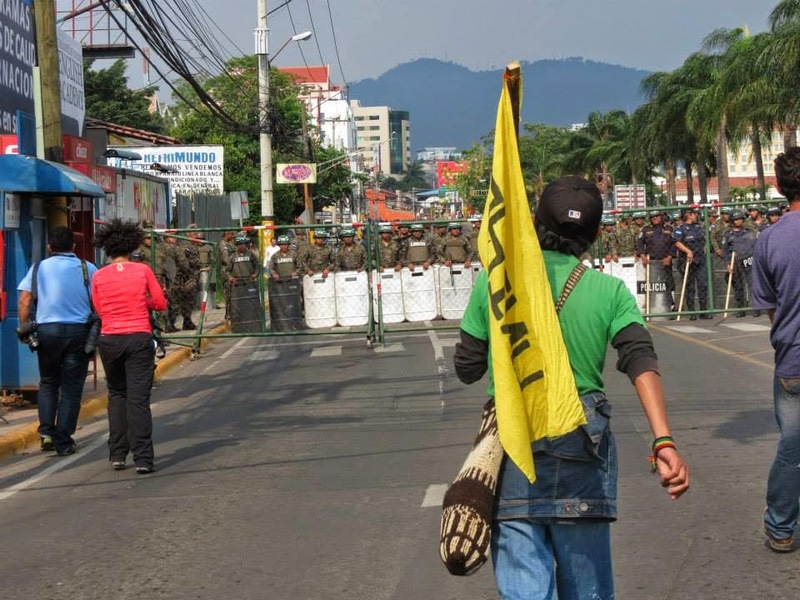 Several days later, the Honduran daily newspaper La Prensa published a story stating that the police had identified the ringleaders and were moving in to arrest them. Additionally, there was word that Henry Osorto had placed a bounty of 10,000 Lempiras (about $600) on the heads of any campesino that the police arrested. Still, the six from Guadalupe Carney signed the registry every week. On October 17th, 2008, Chavelo went to the courthouse to sign-in and was immediately arrested. He was questioned for several hours by a detective and not allowed to call anyone, let alone an attorney. He was then driven to the airport where they loaded him onto a helicopter and flew him to La Ceiba. At some point during this process, his new cell phone was stolen. Another six days went by before he was allowed to talk to an attorney. Thus began Chavelo’s nightmare ride through the twists and turns of the Honduran “justice” system. Chavelo’s sentencing statement says that the detectives from DGIC used the photo of him walking with Arnulfo’s body to convince witnesses to identify the ringleader. One witness accuses him of leading the three hundred in the street, and another witness says that he set fire to the cars and house. The fact that, in court, they all were able to corroborate what he was wearing – essentially what he can be seen wearing in the photo – is supposed to be incriminating evidence. 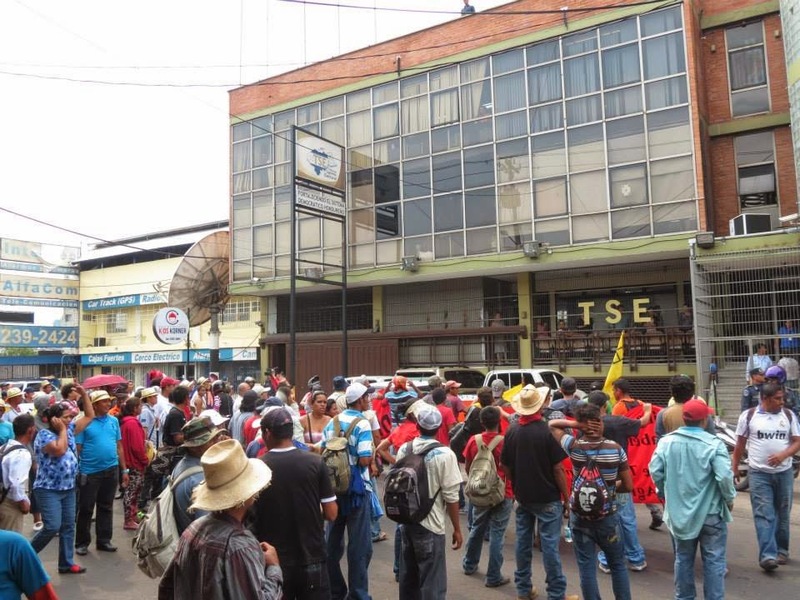 The witnesses included a person identified in the sentencing statement as “Protected Witness A1” who claims to have been in a car passing by the 300 campesinos on the street. Also, Henry Osorto’s nephew, identified as “protected witness A2,” claims that he was ordered to lie face down on the ground before the killing began. This is the same nephew who was shot in the shoulder and carried out of the house to safety after pleading that he didn’t want to die. In a telling indictment of the government’s criminalization of the campesino movement, a DGIC agent stated that he obtained from the district attorney’s office the lists that the MCA had painstakingly compiled of the members of the empresas that had been registered with INA. The agents used the list to get the names of 300 – 350 members of Guadalupe Carney and issued arrest warrants for all of them. These names included people who had spent most of the day of the incident in the Trujillo police station trying to get law enforcement to intervene or had been standing in the street with the police or were nowhere near the incident. They then used this list to find photos of the members from the National Citizen Registry. They used these photos to interrogate the members of the community in order to identify who the leaders of the Campesino Movement of the Aguán were. Eventually the list was whittled down to 32, including Chavelo. Twelve of these members then had their photos and National Registry information submitted to INTERPOL with absolutely no evidence that they had committed a crime. Chavelo was charged with 11 counts of murder, 1 count of attempted murder, 1 count of arson and 1 count of aggravated robbery. Two weeks later they also arrested Carlos Antonio Maradiaga, another member of Guadalupe Carney, and charged him with the exact same crimes. The two of them sat in La Porvenir prison for close to two years before they were brought to trial. During this time, Henry Osorto was seen making frequent visits to El Provenir prison. He took Chavelo’s cellmates out for long interviews only to have them come back and instigate confrontations with him. One cellmate approached Chavelo with scissors and threatened him. Other prisoners overheard four inmates plotting Chavelo’s death. Because of this, he has been sleeping in the guard’s quarters for his own protection. In addition, two of his cellmates were poisoned by orange juice meant for him. Consequently, Chavelo has stopped eating the food cooked by the prison and has been allowed to prepare his own meals. This is not as good as it might sound since he has to wait for family, friends or human rights organizations to bring him food. He sometimes goes several days without eating. One year into his detention, Chavelo’s 1 ½ year old daughter, Denia Liseth, drowned. One year later, his father died in an accident followed shortly by the deaths of two of his aunts. He wasn’t allowed to go to any of their funerals. The trial finally began on June 14th 2010. People who sat in on it recalled the over the top venom and anger of the prosecutor and assistant prosecutor directed toward Chavelo. They stared at him with utter contempt attempting to intimidate him. He and Carlos were tried together and there was none of this same contempt shown toward Carlos. Witnesses often changed their previous testimonies to the point that all of the witnesses against Chavelo sounded like they were giving the exact same testimony, as if rehearsed together. At one point during the trial the lights went out, a common occurrence in Honduras, but this happened just before a key witness for Chavelo was to testify. It was the journalist from Radio Católica whose testimony placed Chavelo away from the gunfire and the burning house. In the sentencing statement his testimony is missing. The photo that was used to incriminate Chavelo in the first place was allowed to stand without the context in which it was taken. The photo supports Chavelo’s story. It does not mesh with the Osorto version that Chavelo was brandishing an AK47 or any firearm. The photo clearly shows that Chavelo had a machete, Arnulfo’s machete, and he was coming from the small house 80 yards away from the main house at Rancho Henry alongside the blood drenched body of his slain friend. In an interesting side note, I was unable to locate this photo in the La Prensa archives. Only later, when I was able to track down a photo copy of the article in which it was included, was I then able to find the archived article, but Chavelo’s photo had been replaced with a scenic view of snow covered pine trees on the side of a mountain. All the other articles from around that date dealing with the incident still had photos from the scene. At the conclusion of the trial, Carlos was acquitted of all charges. Chavelo was acquitted of attempted murder, arson, robbery and ten counts of murder. He was convicted on one count of murder, that of Manrique Osorto. After the trial Chavelo was returned to the prison were he now sits and waits. During his time there, Chavelo has earned the respect of the guards and the warden. He is allowed to leave the confines of the razor-wired walls and work out in the yard. On August 26, 2011, his 35thbirthday, while cutting weeds with an industrial grade weed whacker, Chavelo clipped a barbed wire fence, which whipped up toward his face striking his right eye and leaving a gash across his lips and the tip of his tongue. He was rushed to a hospital in La Ceiba, but they were unable to save the sight in the eye. He has recurrent infections in both eyes, which cause pressure and constant migraine headaches. In addition, due in part to the beds being of poor quality and the threats to his life, he has frequent insomnia resulting in back spasms. Medical care in Honduran hospitals is the responsibility of the prisoners. They must buy their own medical supplies and medications plus pay for transportation to and from doctor visits or the hospital. Chavelo’s eye injury has gone without proper treatment and he is at risk of becoming totally blind. This year, the day before Chavelo’s 36th birthday, Doña Moncha and the rest of the family back in Guadalupe Carney participated in making a large batch of tamales. They shucked the corn, ground it, built a large fire outside, killed a chicken, filled a deep caldron with the ingredients for the tamales, and prepared the banana leaves that they then wrapped the chicken filled corn masa into. The next morning, the family, along with about twenty members of the community walked to the main road and waited for a bus that would take them to El Porvenir. They made enough tamales for all in their party plus extra to leave with Chavelo. They also made enough to sell to the guards and other inmates of the prison in order to give some spending money to Chavelo and to help subsidize the six-hour round trip bus ride. They have to pass the crumbled remains of Rancho Henry both on their way to and from the prison. It sits ten minutes down the road from the entrance of the community, a scar on a hilltop, a symbol of the battles they have been forced to fight, of failed agrarian reforms laws, of the continuing class war perpetually instigated by the ruling elite. But more personally, it is a reminder of the deferred dreams of a son-father-husband-brother-uncle-friend that they hope will return soon to the community. There is an online petition to the Supreme Court of Justice of Honduras demanding freedom for Chavelo. Also, please visit the Free Chavelo Blog for more background, updates and further actions to help gain Chavelo’s freedom. 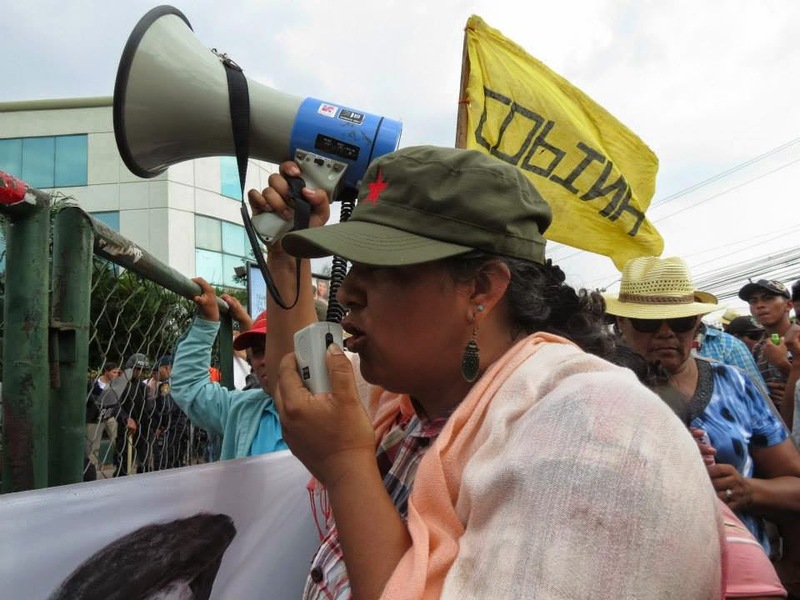 The indicated web page provides a summary of the situation that led to the imprisonment of Isabel Morales, a peasant farmer from the community of Guadalupe Carney. 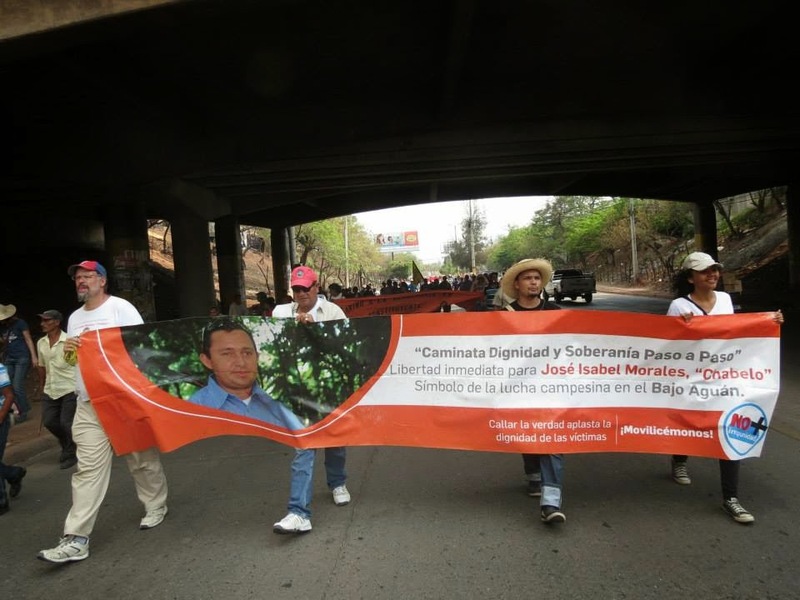 Known as “Chabelo”, his case has mobilized great support nationally and internationally. Más de 400 campesinos y campesinas, más de mil voces gritando “¡Para Chabelo Morales!, ¡Libertad!”, entraron ayer (15/5) a la capital hondureña. Con estas consignas, más la exigencia para que se apruebe la Ley de Reforma agraria integral con enfoque de género y soberanía alimentaria, la salida de proyectos hidromineros de los territorios, la derogación del decreto que da vigencia a las Zonas de Empleo y Desarrollo Económico, ZEDE, mejor conocidas como ciudades modelo, continuó la movilización desde los Territorios. Que el Estado dé cuenta de los cientos de femicidios que ocurren en el país – con el silencio cómplice del sistema judicial – y que respete el derecho de los pueblos indígenas y negros a la autodeterminación, a tener su forma de gobierno y autonomía, como es el caso de San Francisco de Opalaca, fueron otras de las exigencias planteadas por las organizaciones convocantes . A pesar del cansancio, del agotamiento que produce el caminar sobre el asfalto, bajo el sol y el calor, el pueblo campesino e indígena dejó de manifiesto que el corazón de la resistencia reside en la movilización popular unificada y organizada. Que debe enfrentar, sin miedo y con resistencia, a este gobierno plegados a las políticas neoliberales, que impulsa el saqueo y la venta de los recursos naturales y los territorios. Un gobierno sumiso ante el poder de las transnacionales, pero que desata su violenta represión ante la protesta social y popular. “Estamos aquí exigiendo la liberación del compañero José Isabel ‘Chabelo’ Morales, quien está preso sin haber cometido delito alguno y a través de un juicio amañado, así como la aprobación de la ley de reforma agraria integral, cuyo proyecto ya fue presentado en abril y sigue engavetado”, dijo Yoni Rivas, secretario general del Muca (Moviento Unificado Campesino del Aguán). “La Movilización Nacional de Territorios ‘Por la Dignidad y la Soberanía’ nos muestra el camino de unidad en la lucha como la mejor vía para vencer al enemigo de clase”, se lee en un documento publicado este 16 de mayo por las organizaciones sociales y populares. En efecto, el hecho de que las organizaciones de la Plataforma Agraria del Aguán, de la Plataforma del Movimiento Social y Popular, así como del Frente Nacional de Resistencia Popular (FNRP), su dirigencias y sus bases, participaran en la convocatoria de la movilización, demuestra que “solo en la unidad se avanza y se vence”, asegura el comunicado. Después de varias horas, los y las caminantes llegaron en las inmediaciones de la Casa Presidencial, donde un fuerte contingente de policías y militares impidieron el paso. Sin embargo, esa muralla de “terror verdeolivo” no pudo callar las voces, mucho menos las consignas. Del plantón de Casa Presidencial, el pueblo movilizado caminó hasta el Congreso Nacional, donde en los días pasados la policía militar reprimió con gases y toletes la protesta pacífica de la Resistencia y el partido Libre (Libertad y Refundación). La llegada fue recibida con gritos, consignas, alegría y abrazos por parte de la militancia de organizaciones instaladas en ese ‘campo de batalla’. La Vía Campesina y otras organizaciones, ya instaladas y en ayuno para exigir la aprobación del proyecto de reforma agraria integral saludaron, fundiéndose en abrazos, gozando de esta renovada lucha unitaria. Plataforma Regional Agraria del Aguán (MOCRA, MARCA, MUCA, MCA, Empresa Asociativa Rigores, Empresa Asociativa Vallecito, Empresa Asociativa Gregorio Chávez, Empresa Asociativa Salado); Equipo de Reflexión, Investigación y Comunicación (ERIC); Asociación Intermunicipal y Vigencia Social de Honduras (AIDEVISH); Organizaciones de la Plataforma del Movimiento Social y Popular; Central Nacional de Trabajadores del Campo Región Norte (CNTC); Coordinadora de Organizaciones Populares del Aguán (COPA); Consejo Cívico de Organizaciones Populares e Indígenas de Honduras (COPINH); Organización Fraternal Negra de Honduras (OFRANEH); Movimiento Amplio por la Dignidad y la Justicia (MADJ); Red Nacional de Defensoras de Derechos Humanos; Instituto Ecuménico de Servicios a la Comunidad (INEHSCO); Red de Comercialización Comunitaria (Red COMAL); Frente Nacional de Resistencia Popular (FNRP); Capítulo Honduras – Articulación de Movimientos Sociales hacía el ALBA (ALBA Movimientos).